In this past week’s episode, we talked a bit about a few different manifestations of death. 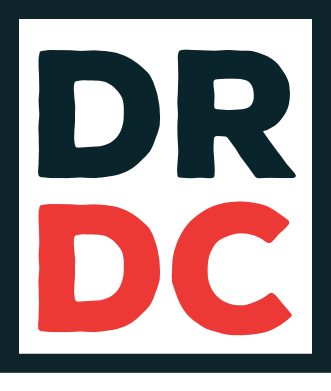 The delineations between them can be a little blurry sometimes, so here is a breakdown of some of DC’s death gods ranked from most to least powerful. A member of the Endless, Death came into existence shortly after the first beings came to life. She is the personification of death itself and ushers souls from life into the next stage of their existence – either to a particular afterlife or toward reincarnation. She is literally death given form, but will leave the job of reaping to other, lesser death gods if such beings have a claim to a soul; for example, if someone worships a different deity of death, Death of the Endless will leave that soul to that deity. But ultimately, the responsibility for all souls falls to Death. 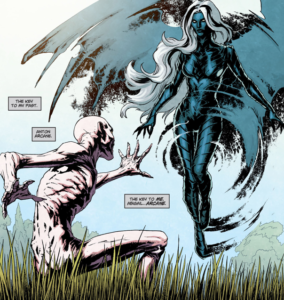 A different manifestation of death, Nekron is the gatekeeper to the afterlife. Trapped within the Land of the Unliving, Nekron rules over the buffer spiritual realm where all souls await judgment. Sentient but soulless himself, Nekron desires the death and destruction of all life. 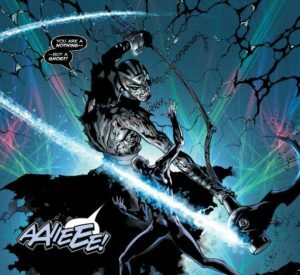 He is able to resurrect the dead and, via the Black Lantern rings, he can reanimate and control the corpses of the deceased. 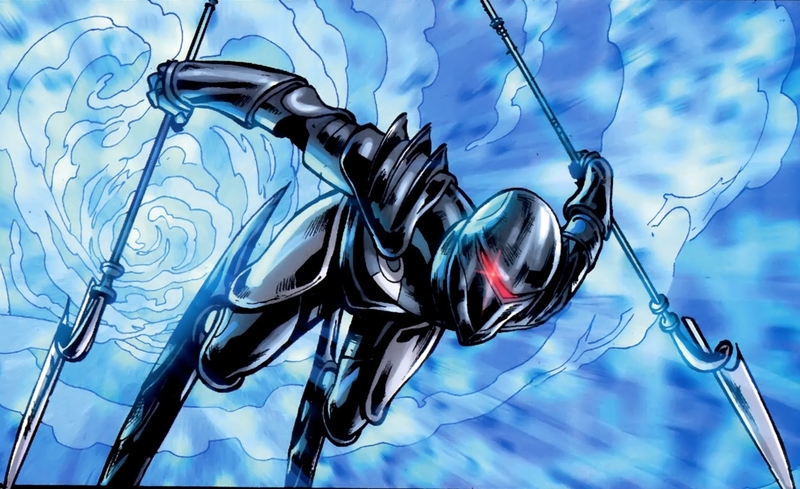 The Black Racer is the death god of the New Gods of New Genesis and Apokolips. Just a spirit of death, the Black Racer always requires a physical host, the two most famous of which are Willie Walker (a Vietnam veteran selected by the Source to become the Racer) and the Flash, who was bonded with the Black Racer during the Darkseid War. 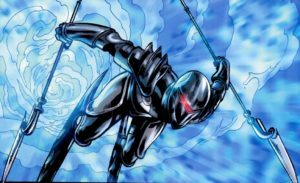 As the personification of death for the multiversal New Gods, the Black Racer is more powerful than other, lesser death gods from within the Orrery of Worlds. The Black Flash is the speedster manifestation of death, fast enough to run down speedsters and return them to the Speed Force, which serves as the afterlife for all who channel its power. 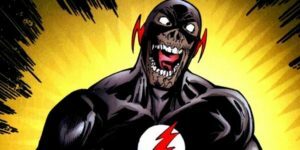 Though the Black Flash is tasked with managing the deaths of speedsters, it is also capable of killing those not connected to the Speed Force. Briefly, Barry Allen was transformed into the Black Flash. Unlike the Green or the Red, which are the collective consciousnesses of plant and animal life, respectively, the Black represents the collective consciousness of rot and decay, forces extremely closely associated with death. 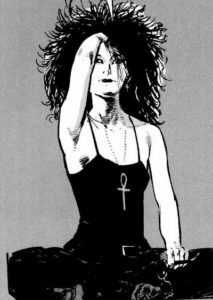 And just as Swamp Thing and Animal Man are avatars of the Green and the Red, the Black also selects an avatar to further the cause of rot and death, draining the life force from any living being. The most memorable and dangerous of these avatars was Anton Arcane, a necromancer and long-time foe of Swamp Thing. His niece, Abigail Arcane has also been the avatar. Originally created by Veronica Cale and the Science Squad, Azraeuz was one of the Four Horsemen of Apokolips and an avatar of death. He is demonic by nature, and is able to draw strength and energy from any and all death in his vicinity, can reanimate the dead, and is able on occasion to take physical form through the possession of someone else’s body. 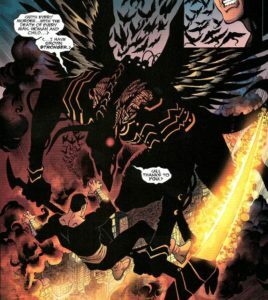 There are, of course, many others who wield or commune with the force of death, and many others who embody or personify it as death gods, but hopefully this gives a bit of context as to the fractured nature of death’s personification in DC. I was thinking of you as I added Arcane into this list!